Plain N' Simple is made up of 100% cotton in a light khaki color. 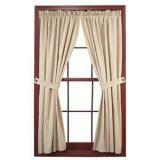 Perfect for those who want a simple look for their window! 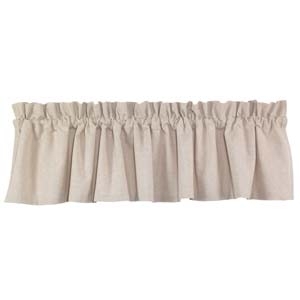 Plain N' Simple is available in Lined Swags, Lined Valances, Lined Tiers and Lined Panels. 72" Wide x 14" Valance. Long Plain N' Simple is made up of 100% cotton in a light khaki color. 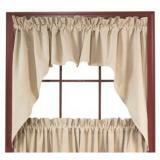 Perfect for those who want a simple look for their window!